We've known that Microsoft's racing contender, Forza, would get controller-free Kinect support in some fashion since E3. Microsoft makes it doubly official today, naming Forza Motorsport 4 as the Kinect-powered "definitive racing game of 2011." Forza developer Turn 10 Studios already pegged Forza 4 for a fall 2011 release date at this weekend's Spike TV Video Game Awards, courtesy of a mostly gameplay-free teaser trailer. Also teased at that show was the Top Gear (USA) branding, which, combined with the option to play with Kinect controls, will apparently "create an automotive experience unlike anything before it." If that's not enough hyperbole for you, check out this snippet from the Forza 4 press release. 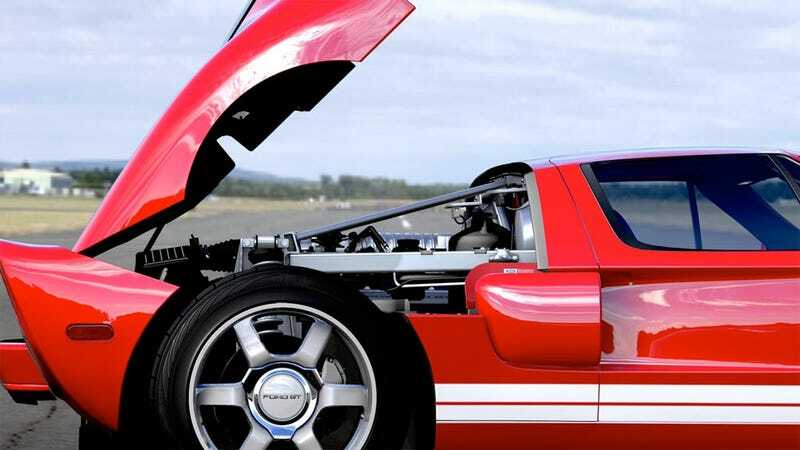 "Forza Motorsport 4" will be the most expansive and vividly realistic automotive experience across any console, bringing you closer to the edge than you've ever been before. Through the power of Kinect, players will be able to step through the TV screen and jump into the driver's seat while the engaging controller-based experience will let you take on the bone-jarring physics, unparalleled levels of customization, and rosters of dream cars and tracks. Offering gameplay that will electrify racing fans and excite car lovers and novices alike, the highest-rated racing franchise of this generation returns in fall 2011.